With the next holiday in Japan being Children’s Day, Ginza Cozy Corner is getting ready to release their next Disney-inspired petit cakes. Only this time, it’s taken a turn to Pixar. 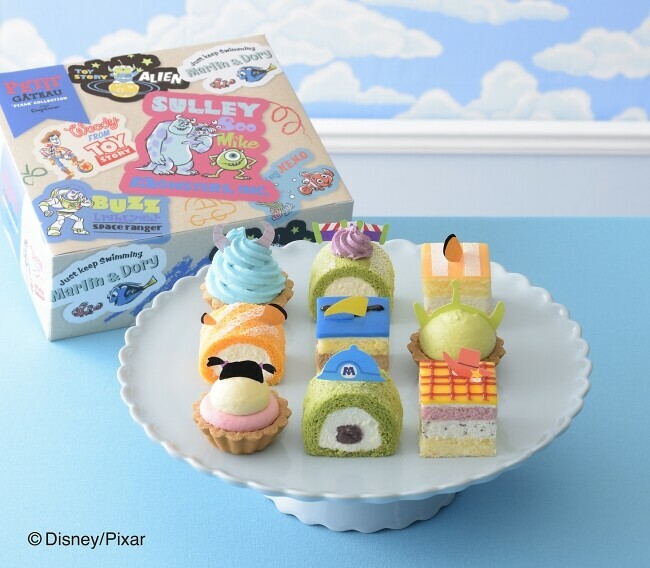 On February 15th at a price of 2100 yen (with tax 2268 yen) brings you 9 petit cakes taken from Pixar’s Monsters Inc., Toy Story, and Finding Nemo.